I have the biggest obsession with candles, ever since i was allowed a candle in my room i have been obsessed. I love how they make a room feel relaxed, nice and cosy. 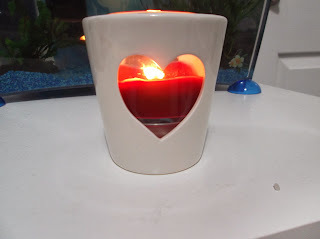 I have them in my room and i use them everyday and i put a few in the living room and my housemates loved it. I thought they would moan about the Christmas smell but they said how nice they were now it helped them de-stress after work. I know this is true as i came into the living room and i could see that it had been used. I think that they are perfect for this time of year as i love the Christmas scented ones they help me get into the Christmas sprit. You can the imagine how many candles i get through every month with my obsession. I tend to buy a mixture of jar candles and small tea lights. I try not to have too many scented candles burning as then you do not get the true smell it is more of a cocktail of candles. A cheeky tip which i have been doing is buying candles with nice jars, then i will re-use the jar to hold my brushes or my lipsticks. 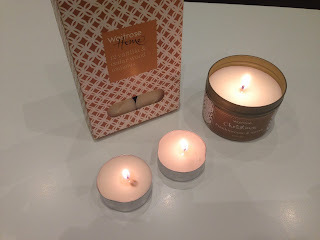 While i was writing this post i realised i have got another two burning away! I love using candles, specially in the Winter months. They make the house just feel even more cozy and warm. 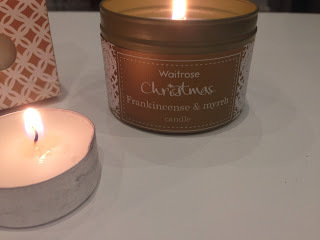 I'm loving all the Winter themed scents out there at the moment! Just done a Yankee Candle wish list post over on my blog!